Kelly is a native of Pennsylvania, and completed her undergraduate degree in athletic training at Duquesne University in 2004. She then moved to Miami, where she received a Master's of Science in Sports Medicine from the University of Miami and spent five years working as an certified athletic trainer in Division I athletics. As a certified athletic trainer, Kelly was responsible for the prevention, evaluation, treatment, and rehabilitation of acute and chronic sports injuries as well as on-field emergency care and post-surgical management. In addition, she worked as an Adjunct Professor and Clinical Instructor in Miami's undergraduate Athletic Training Education Program. After leaving Miami, she spent two years working as an Athletic Trainer and Adjunct Professor at Division III Alvernia University in Reading, Pennsylvania. In 2012, she moved to DC to attend the School of Medicine and Health Sciences at George Washington University, where she received a Master's of Science in Health Sciences in Physician Assistant Studies. 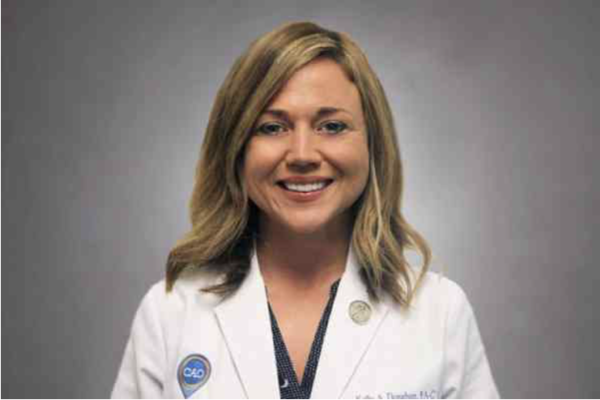 After graduation, Kelly spent a year working at Sibley Memorial Hospital in general surgery before accepting her current position at the Office of Orthopaedic Medicine and Surgery. In addition to her certifications in athletic training and Physician Assistant, Kelly is also a Certified Performance Enhancement Specialist through the National Academy of Sports Medicine (NASM). This specialization has given her expertise in assessment of muscular imbalance and the implementation of corrective exercise techniques to enhance flexibility, speed, and agility.